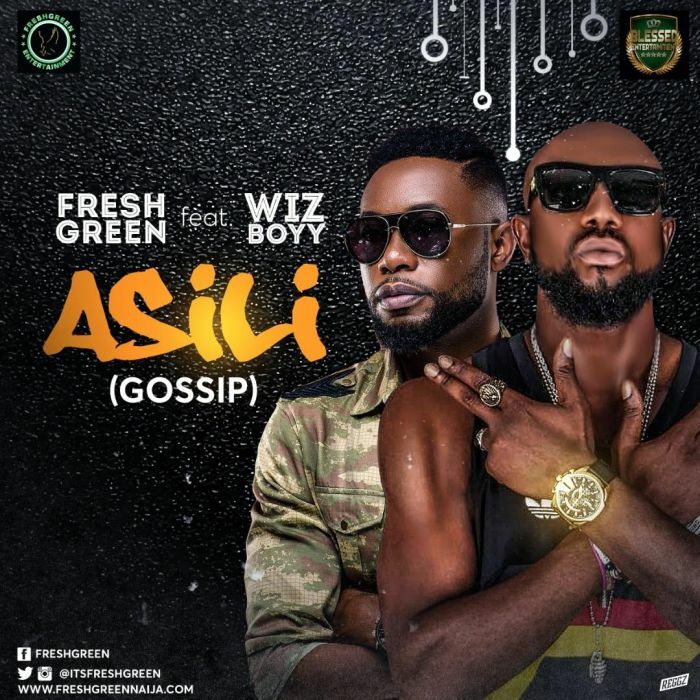 Italy based music sensation, Freshgreen releases hot single titled “Asili (Gossip)” featuring multiple award winning highlife singer, Wizboyy who is famous for his hit singles: “Screensaver”, “Owusagi” & “Infinity”. With the highly prolific Mr. T producing this melodious tune, expect nothing less than good music at it’s best. Freshgreen who is currently on a summer tour of Europe is not relenting in his quest for total acceptance by African music lovers across the globe. “Asili” is his first single since his coalition with international entertainment company, Blessed Entertainment.